"Oyster Bay" is one of the hidden gems finally released on My Lives. One wonders why the song was not put on Piano Man or Streetlife Serenade. It is an autobiographical song in which Billy laments the price of stardom, though in 1973, Billy had not yet achieved superstardom. He is "getting rave reviews" but would rather be back in Oyster Bay, fishing or just taking it easy. 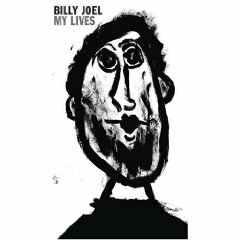 The song contains certain elements not found in many Billy Joel songs of the time, like the meandering electric guitar solo in the bridge, and the last verse sung by a group of female backup singers. These elements round out the song and elevate it above some of the other early songs released on My Lives. Well today it's San Francisco and tomorrow it's L.A.